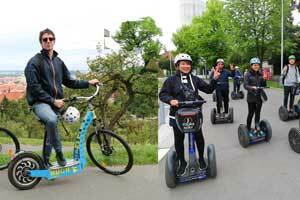 Combined tour on Segway and Hugo E-scooters allows you to see the whole city in only four hours. 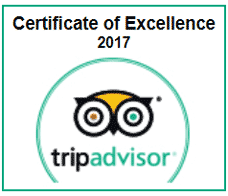 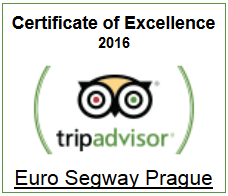 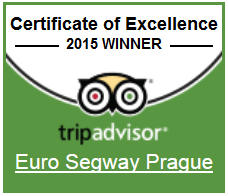 It’s a great option for those who came to Prague for a short period or for those who value their time. 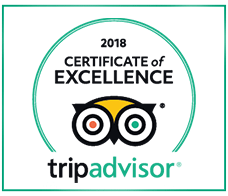 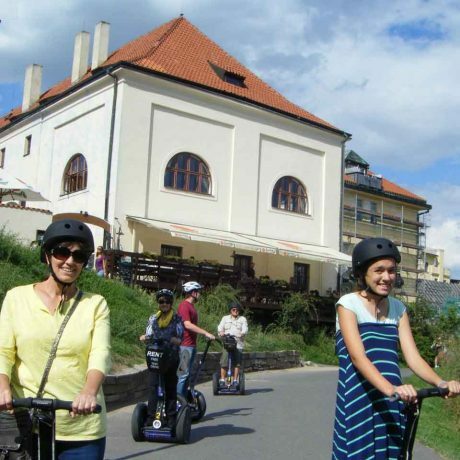 During the tour you will see the historical center as well as nearby parts of Prague with great views and sights which are hidden from tourists. 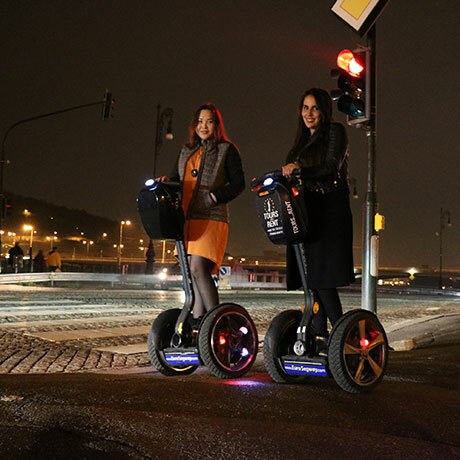 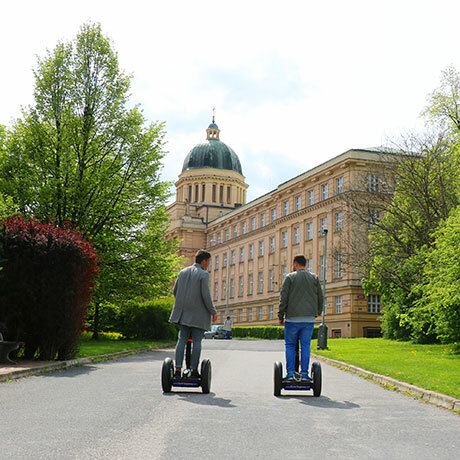 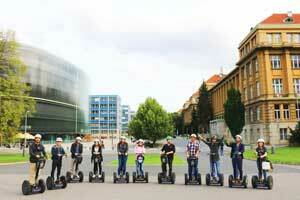 First part of the trip is a Segway tour in Prague’s administrative center called Device. 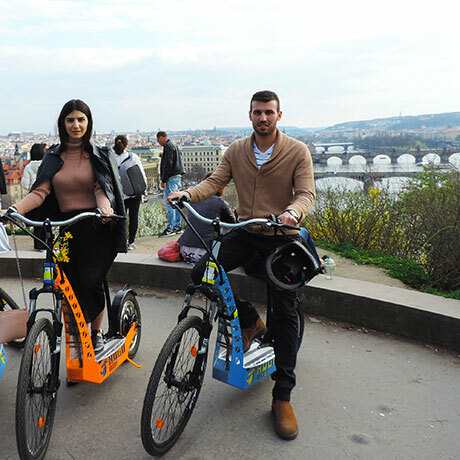 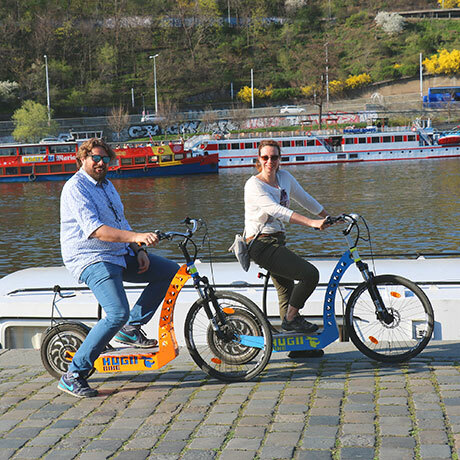 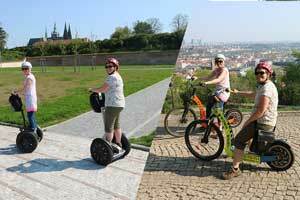 You will get an unforgettable experience gliding through the streets of Prague and enjoying great views. 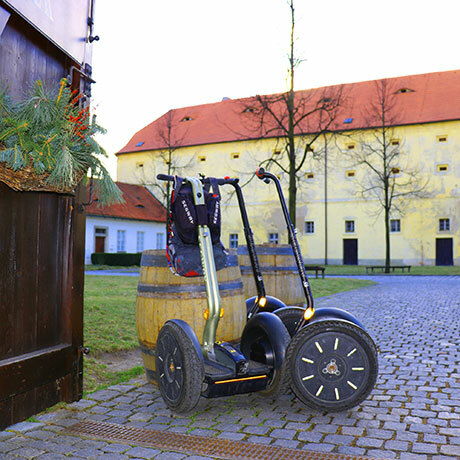 Passing through the famous Strahov monastery, you will have a chance to taste legendary monastery-brewed beer made according to the ancient monk’s recipe. 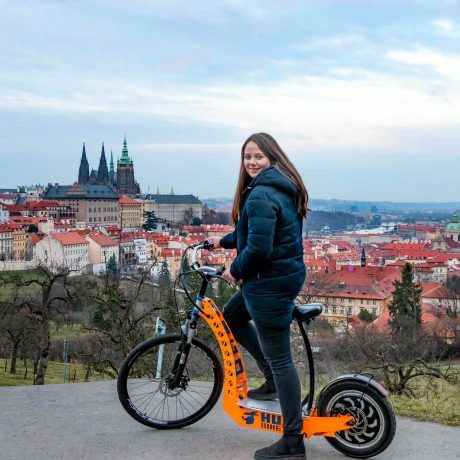 Also, don’t miss the chance to enter one of the oldest libraries in the Czech Republic and see the marvelous view over the old city of Prague. 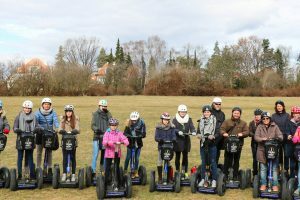 Besides that, your Segway part of the trip will take place in numerous parks, such as Max van der Stoel Park and Hadovka Park. 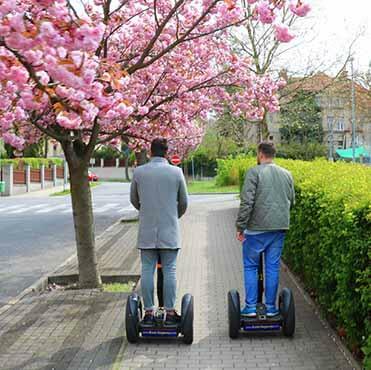 Take a drive nearby the Müllerova Villa, and glide in one of the most expensive districts of Prague – Old Streshovice, or how locals are calling – Prague’s Beverly Hills, the place where mostly politicians and celebrities are living. 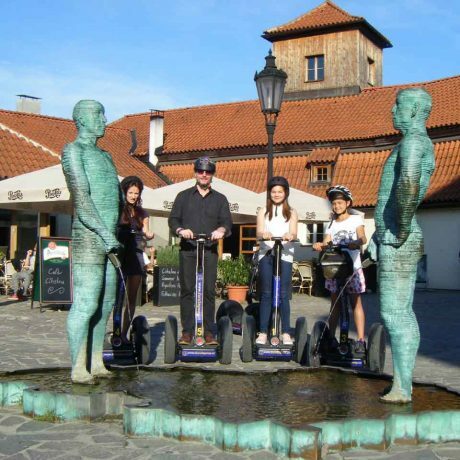 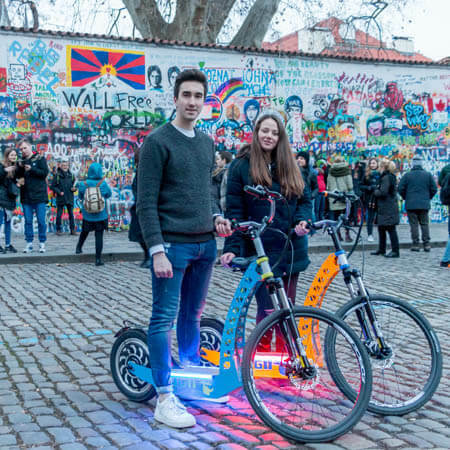 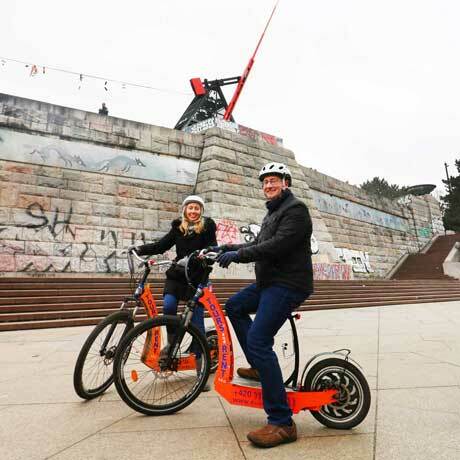 Swap to Hugo E-scooters and continue with your personal tour guide in the historical core of the city. 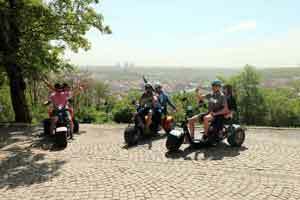 By the first destination drive to the heart of the city – Prague Castle and take a walk nearby the President Palace and spectacular St.Vitus Cathedral. 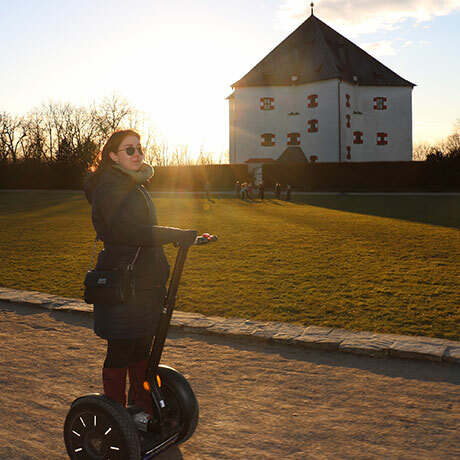 After exploring the Castle you will take a drive to the biggest park in city center, called Petřiny, where the breathtaking panorama view is. 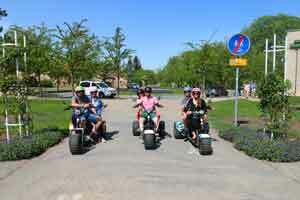 By gliding in the beautiful lanes of the park, reach the area of Lesser Town. 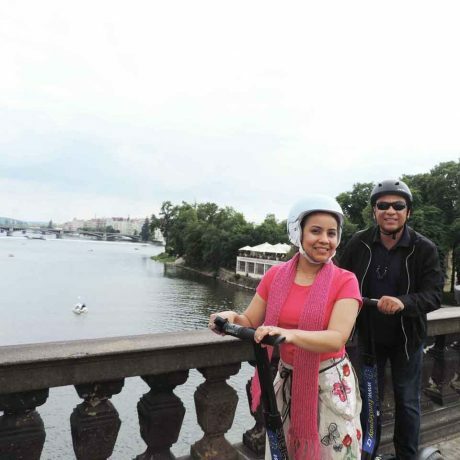 Take a drive in the Kampa Park, make a stop there to enjoy the breathtaking view over the Charles Bridge and Old Town, and then continue to the legendary John Lennon’s Wall. 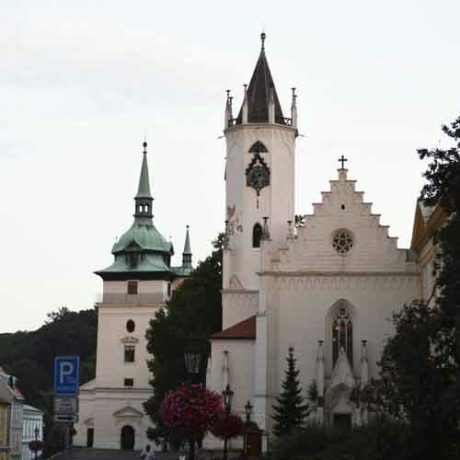 Explore more of the Lesser Town and after crossing the Mánes Bridge enter the Old Town. 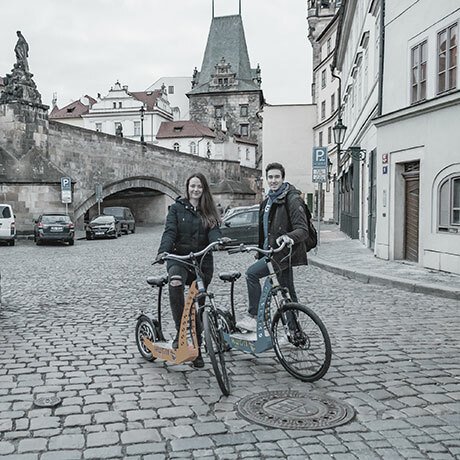 Drive to the Jewish Quarter to see the oldest functioning synagogue in the central Europe, and then, while passing the most expensive street of Prague, go back to the Old Town square – the oldest and the main in the city. 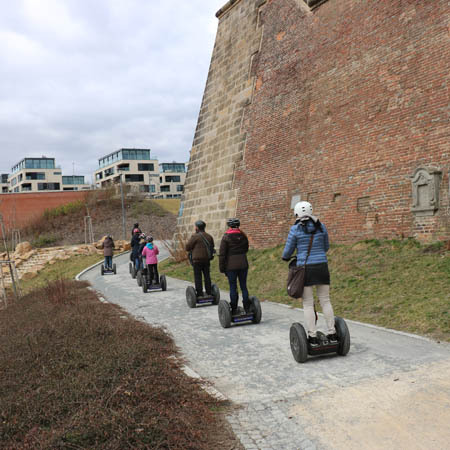 This tour covers each of five historical quarters in Prague, which together consider as the biggest historical core in the world, registered by UNESCO.